Heat oven to 400°F. 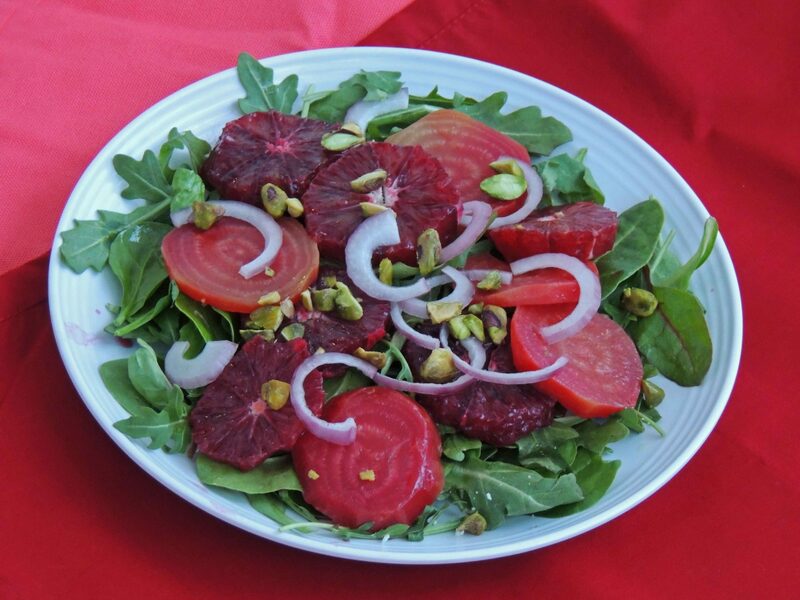 Wash beets and wrap individually in foil; place on a rimmed baking sheet and roast until beets are tender when pierced with a knife, about 1 hour. Let cool. Cut the peel and white pith from oranges using a sharp knife. Slice the oranges and place in a bowl. Add the lemon juice and lime juice. Peel cooled beets. Slice beets crosswise into thin rounds. Place a handful of greens on 4 plates. Layer beets and marinated oranges over the greens. Sprinkle the onion and pistachios over the beets and oranges. Spoon reserved citrus juices over, then drizzle salad generously with oil. Season to taste with sea salt and pepper.